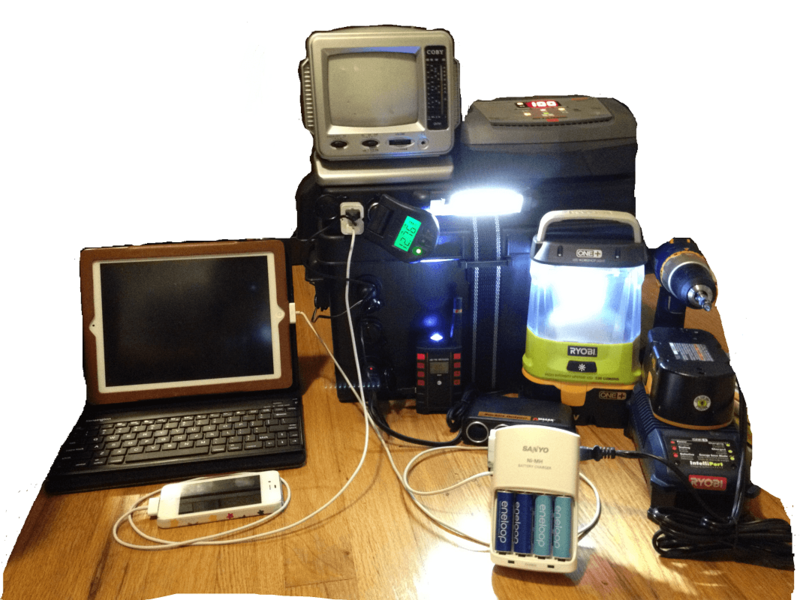 You Never Have to Be Without electrical power again! 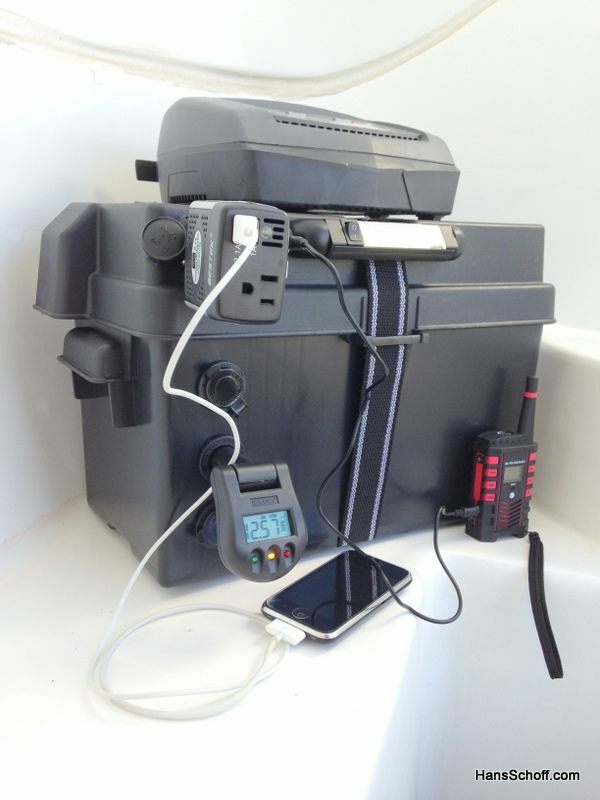 > Instant, Silent, On-demand, Fume-Free Electrical power! How much power do these units provide? What can I run and for how long? 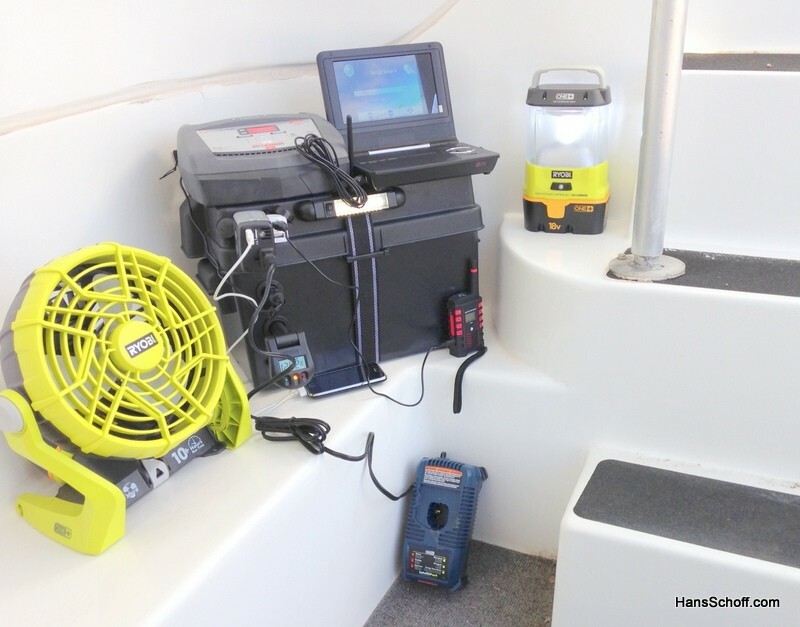 12 watts of power could be: running the LED light with a cell phone and iPad plugged in. It could be running a USB fan, listening to the USB weather radio, charging a cell phone and powering the LED light. Here are some additional devices, their hourly power usage (in watts) and run time, as well as some grouped items to give you a better idea and what you can run and for how long before needing to recharge power source. Note: aim to use less than 50% of the power source’s capacity for longest power source life and best performance (disreguard in case of actual emergency of course – that is what it is there for!). How can I get one? How are they made? How much do they cost? 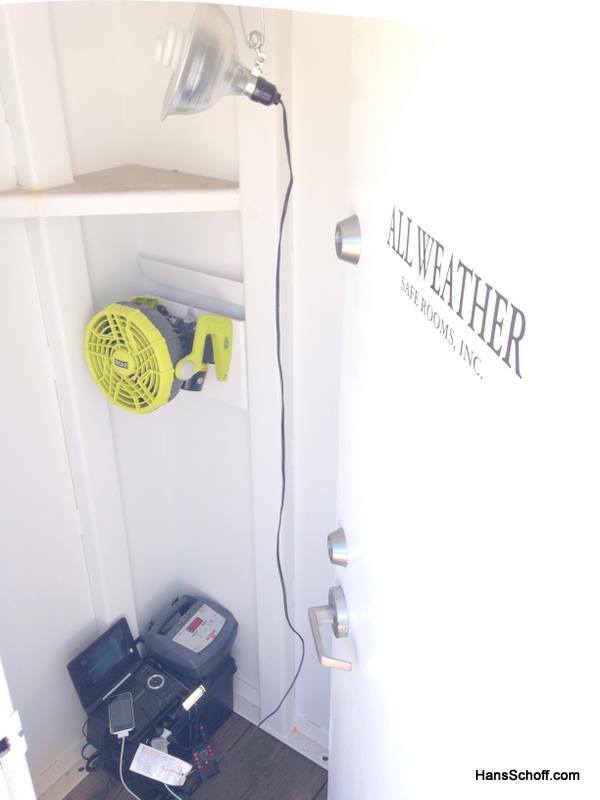 Each emergency power backup system is custom designed (and to be installed) to meet the requirements of the customer, including multiple 12V/DC cigarette-lighter outlets to 120V/AC outlets, LED lightbars, inverters, USB outlets/adapters, cables/cords, voltage monitors plus accessories like low-draw light bulbs, weather radios, battery chargers, fans, TV/DVD players, weather or activity monitoring video cameras and even a solar-powered charging system, among other customizations. NOTE: Although they are not “light-sabers” with an infinite amount of power that can run anything, you will find these custom-built power solutions to far out-perform any other similar power setup because of how the units are designed. These are not “gimmick” devices that sound neat and clever only to not work when you most them to; on the contrary, these backup power solutions were designed out of necessity to provide the most battery capacity in the safest and simplest way possible with the most usable features. 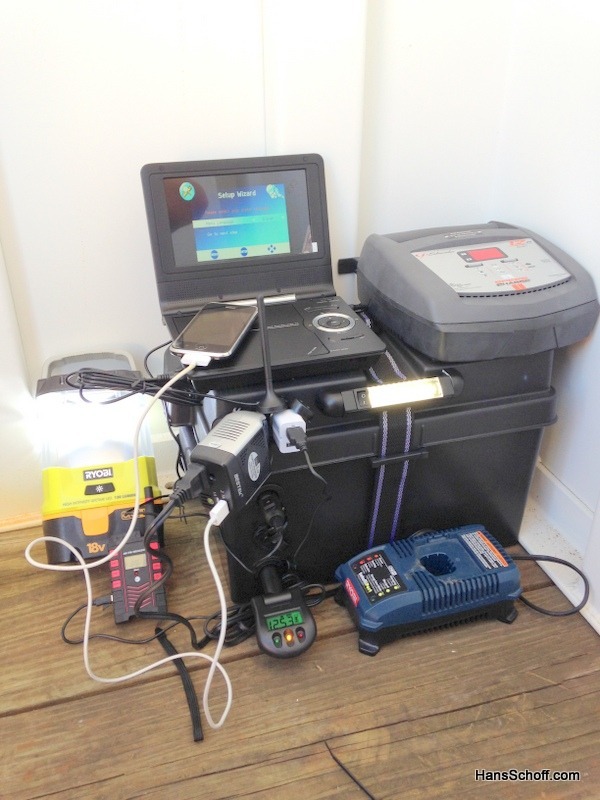 No more having to haul around and make space for a gas/diesel-powered generator that is noisy, smelly, requires filling up and is hard to secure between jobs without a permanent installation, making a typical gas/diesel generator an easy target for thieves. Take instant power with you wherever you go, locked and secure in your toolbox when not in use, and ready to plug into whenever you need to, with silent, odorless operation that charges and recharges automatically while you drive (or via solar power if so desired when parked). 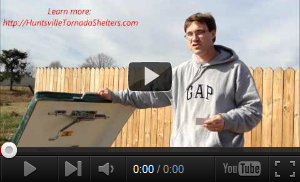 I have a shed and I run a generator in it to power my computers. Such a great invention………….I am amazed to see that things like that exists. 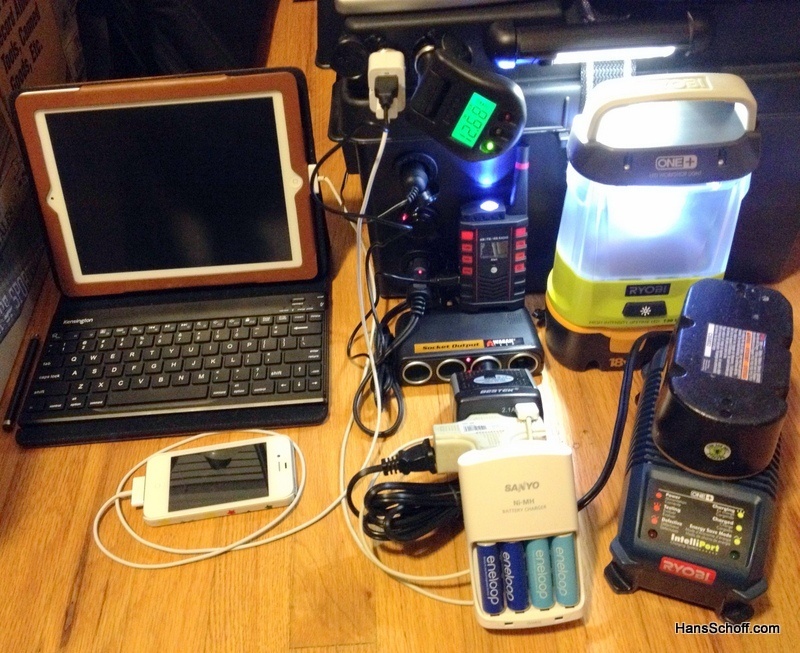 That’s a good back up power and other equipment to use when disaster occurs.